As we have seen, there has been a significant rise in the popularity of ebooks for readers but a recent article has suggested they could be a revolution for budding writers too. Bill Rogers initially tried to get his stories published through print-based publishers but found many stumbling blocks so he decided to go it alone and publish them himself as ebooks. He is now making enough wage to live on (even without his pension) all through embracing new technology. The increased popularity of e-books means you can now reach audiences further afield with your work as an ebook than you ever could with a printed one. Scanning and converting a printed book to an ebook format can often be difficult which is where Pearl Scan come into it. We offer a bespoke book scanning service to convert your printed book into digital format. 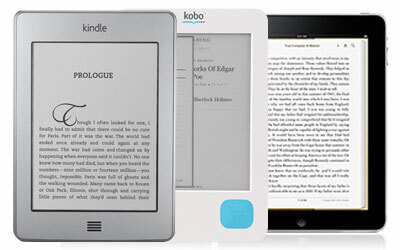 We scan books into a large range of formats including PDF, PDF Searchable, Word, Amazon Kindle, ePub, iBooks for iPad/iPhone, Flipping Book, HTML and XL. We eliminate the worry of converting your work to e-book so you can concentrate on creating the newest literary masterpiece. If you have a printed book you need converting to e-book format then get in touch today.